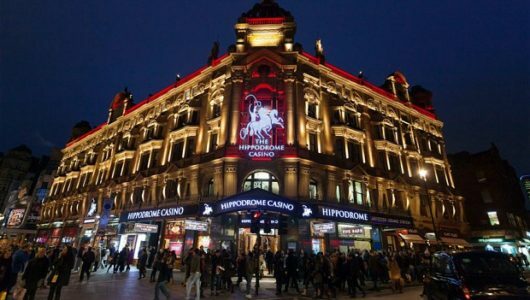 VideoSlots, founded in 2011 in Sweden, is a relative newcomer to the casino scene and it’s a high-tech casino oriented at the user that will certainly appeal to millennials. Innovation is at the heart of VideoSlots so a player will get things that don’t exist with other online casinos. Every player is treated as a VIP as VideoSlots put the focus on the player experience. Battle of Slots is a popular and innovative feature that allows players to play against friends or other players in different battles and multi-player tournament mode. This makes spinning even more exciting and rewarding. The possibilities are countless, and there are different battles for players to choose. Battle of Slots can also be played in a free mode called Free Rolls, in addition to Free Battles. Whether players want to win big or small there is something in there to suit any taste. 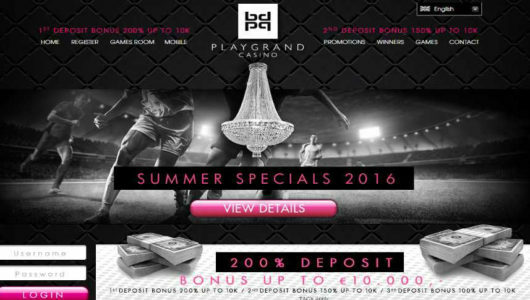 There is one welcome bonus, 100% up to €200, and you also receive €10 free cash with your first deposit. 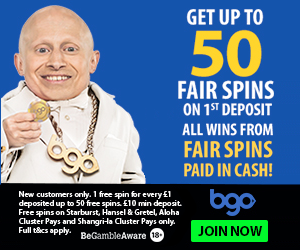 This bonus is not massive, but is just good enough to drag you through the door of this online casino. The real value you’ll see in other parts of VideoSlots such as the loyalty program, especially if you deposit a lot and become a VIP player. The bonus is redeemable on table games as well, so all of you roulette, blackjack, baccarat, video poker r other game players can also redeem the bonus as all games contribute 10% to rollover requirement. However, on Videoslots you only have 7 days to fulfill the rollover requirements. Rollover is only 20x though, so we’re including Videoslots on our list of bonuses for table games as this is achievable. The entire VideoSlots casino is one big loyalty program as the player is in the focus of this brand. Players who deposit a lot will get contacted and will get VIP benefits and treatment. VideoSlots offer players amazing features such as Battle of Slots, Cashbacks, Casino Races where they give away staggering €40,000 every week and the Maximum Bet Protection. Every bet a player makes increases his chances of receiving a variety of rewards and bonuses, thanks to the trophies feature. With this, players get the chance to win trophies which might be hiding a reward, such as free spins, free cash, deposit bonuses, and rewards that also give them benefits for the Cashbacks, Casino Races and more. Although VideoSlots is obviously focusing on slots, there are other games to play, and then some. Roulette, Blackjack, video poker, scratch cards and other games are available. One thing missing are the live dealers, or true card games such as baccarat or pai gow poker, but this brand isn’t focusing on that but on audience that wants slots. At the time of writing this review there are a total of 1722 games you can play at VideoSlots, and they’re constantly adding more. VideoSlots are doing things the honest way, that’s obvious, and we’re not expecting players to have any problems regarding payments. They’ve only been in business for several years though so we can’t give them the absolute best grade – got to leave something for the biggest and most reliable in this business. Just bear in mind that VideoSlots aren’t creating any fuss about payments at all, it’s a non-issue. They’re Swedish, after all. Afghanistan, Algeria, American Samoa, Angola, Argentina, Bahamas, Bahrain, Bangladesh, Belgium, Bosnia & Herzegovina, Bulgaria, Burma, Cote d’lvorie, Cuba, Cyprus, Democratic Republic of the Congo, Denmark, Egypt, Estonia, Eritrea, France, Fiji, Germany, Guam, Guyana, Haiti, Holy See (Vatican City State), Hong Kong, India, Iran, Iraq, Ireland, Israel, Jordan, Kazakhstan, Kenya, Kuwait, Kyrgyzstan, Lao PDR, Lebanon, Liberia, Libya, Lithuania, Marianas Islands, Mozambique, Myanmar, Nigeria, North Korea, Papua New Guinea, Pakistan, Palestinian Territory, Panama, Portugal, Puerto Rico, Qatar, Romania, Reunion, Rwanda, Saudi Arabia, Senegal, Singapore, Somalia, Spain, Sri Lanka, Sudan, Syrian Arabic Republic, Tanzania, Turkey, Uganda, U.S. Minor Outlying Islands, U.S. Virgin Islands, Ukraine, United Arab Emirates, United States of America, Vanuatu, Venezuela, Vietnam, Yemen and Zimbabwe. VideoSlots is a natural place for all slots lovers out there, and they’ll be drawn to this casino sooner or later, at least to try it out. The big players will get VIP treatment and, most importantly, there is no fear regarding payments. A nice and fun slots-oriented casino for the new generation of players. VideoSlots will particularly appeal to the younger generation.